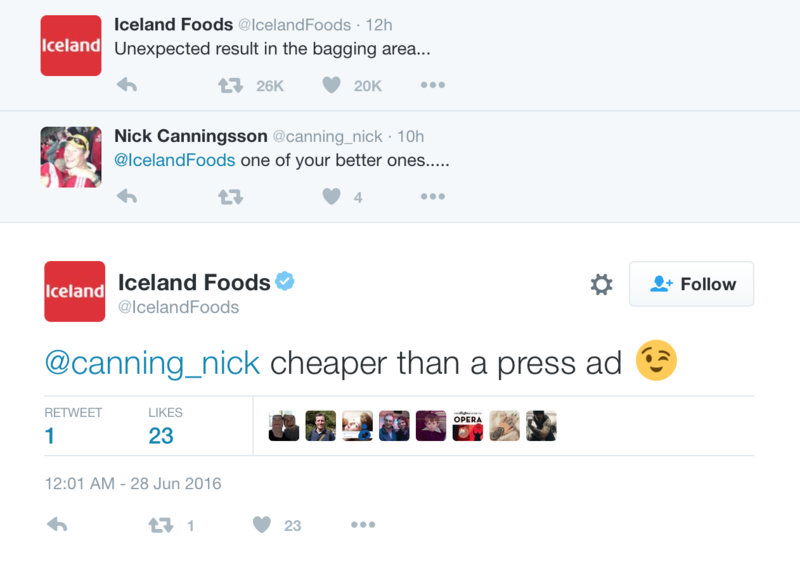 The England football team was spectacularly knocked out of Euro 2016 by Iceland last night, leading to plenty of opportunities for humorous promotion of the supermarket chain of the same name. The supermarket chain, which sponsors the Iceland football team, rebranded its Leicester store yesterday in the build up to England vs Iceland match. The island nation then completed a shock 2-1 victory over the inventors of football. 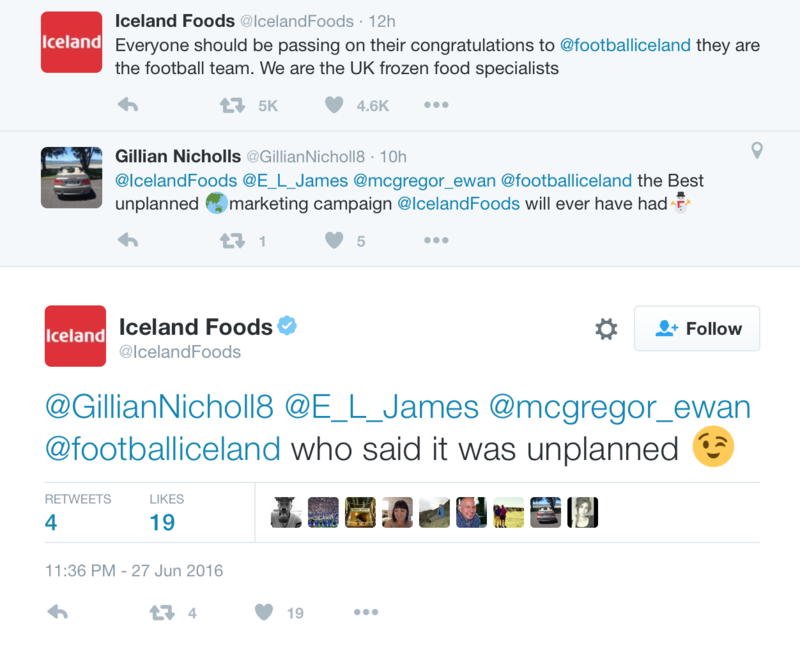 The @IcelandFoods Twitter account generated plenty of goodwill thanks to the witty interactions of its social media team, which is run by the agency Tangerine. 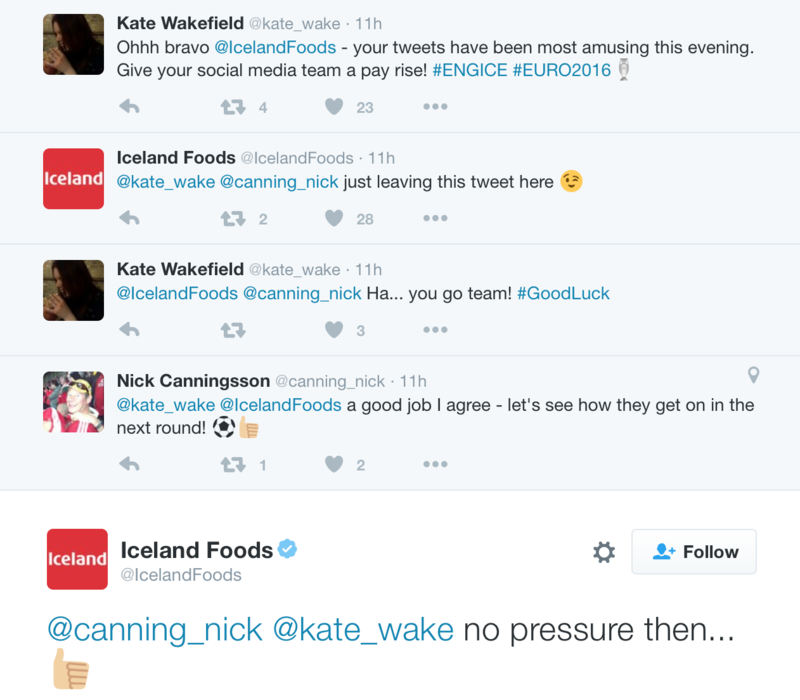 Iceland's social media team won several plaudits. 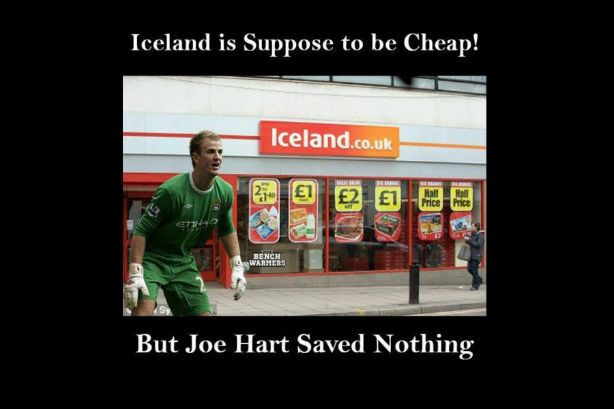 The news site Joe.co.uk quickly created a spoof Iceland ad mocking the England football team, which has already been viewed more than 11.9 million times on Facebook. @Samjfallows seen that. Great use of our ad ? ?